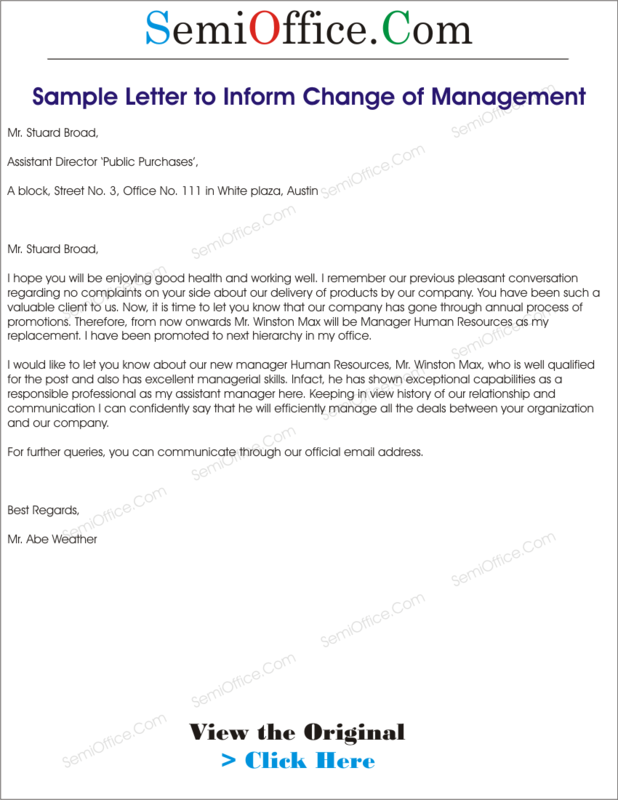 Sample letter to inform the clients about change of management due to promotions, resignations, or sale of business. I hope you will be enjoying good health and working well. I remember our previous pleasant conversation regarding no complaints on your side about our delivery of products by our company. You have been such a valuable client to us. Now, it is time to let you know that our company has gone through annual process of promotions. Therefore, from now onwards Mr. Winston Max will be Manager Human Resources as my replacement. I have been promoted to next hierarchy in my office. I would like to let you know about our new manager Human Resources, Mr. Winston Max, who is well qualified for the post and also has excellent managerial skills. Infact, he has shown exceptional capabilities as a responsible professional as my assistant manager here. Keeping in view history of our relationship and communication I can confidently say that he will efficiently manage all the deals between your organization and our company. For further queries, you can communicate through our official email address. 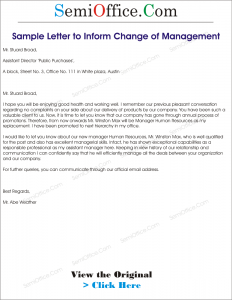 Letter to inform clients of changing the staff who handle it. previous staff handling another project?